William Morrow Paperbacks, 9780061689895, 336pp. PI Ed Loy wants to escape his past—but it won't be easy. Soon after moving to a Dublin apartment from his childhood home on the city's outskirts, he's approached by Anne Fogarty, whose father was murdered fifteen years ago. Anne thinks the police nabbed the wrong person, and the three most likely culprits are two ex-IRA men and George Halligan—Loy's underworld nemesis. Jack Cullen, one of the other suspects, may somehow be connected with the death of a rising soccer star—another case Loy is asked to take on. 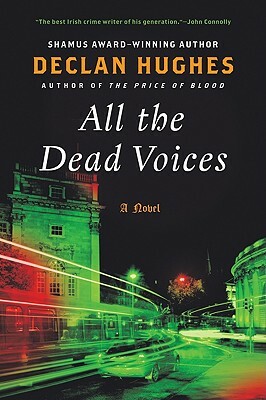 And as his two investigations collide, Loy finds himself in grave danger in a city divided—where the wounded Celtic Tiger walks hand in hand with the ghosts of a violent past.